Welcome to the official Greg Back Guitars web site. If you’re looking for some of the best hand-made guitars and basses, you’ve come to the right place! 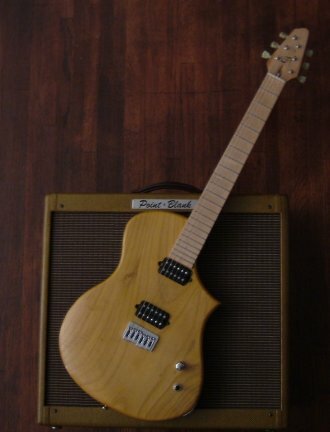 Greg Back Guitars is also the Los Angeles based dealer for Blankenship Amplifiers. We have a few models in stock to test and occasionally get some of Roy's prototype designs that are available for sale. Take a look around and be sure to contact Greg if you want to commission a new guitar of your own or want to test drive a Blankenship Amp. All images on this site are the property of Greg Back and may not be used without permission.